This tour is designed for garden lovers who are looking to discover fabulous gardens and picturesque villages of Provence and the Riviera. Some of the gardens you will visit are open to the public, and some are exclusive venues led by botanists or horticultural experts. Arrival at Marseille airport and transfer from Airport to your hotel in Aix-en-Provence by minibus or private car (private car additional). With your guide you will walk to the Pavillon Vendôme, a beautiful 17th century villa with a formal French garden. Then stroll through the streets of old Aix-en-Provence and enjoy a visit to the Cathedral Saint-Sauveur, known for its exceptional variety of architectural styles (from Roman to 18th century), its carved wooden doors and its Romanesque cloisters. It is said the site was built on a temple of Apollo between the 5th to 18th centuries. This evening you will have an orientation briefing over welcome drinks followed by dinner (included) at a local restaurant. Today is dedicated to the discovery of the Luberon with its strikingly hill-top villages and breathtaking landscapes. Stop in Bonnieux, where you will visit one of the most remarkable gardens of Provence composed of Mediterranean plants, evergreen for the most part, set in a framework of local stone and river pebbles from the Durance. After lunch (at leisure) you will continue to Cucuron to visit another magnificent garden brimming with vineyards, fig and cherry trees and lavender. It has become the flagship garden of Vaucluse. Return to Aix at the end of the afternoon. Evening at leisure / Overnight in Aix-en-Provence. 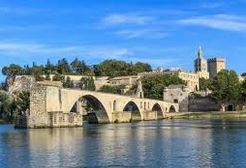 This morning you will venture to Villeneuve-lès-Avignon located along the Rhône on the opposite side of the city of Avignon. You will visit the Abbaye Saint-André and its panoramic gardens under the guidance of the owner. From the heights of Mount Andaon, these terraced gardens offer panoramic views of the Popes’ Palace in Avignon across the Rhone River. Continue to Avignon where you will have lunch (included) in one of the local restaurants. After lunch your guide will take you on a walking tour of Avignon. You will visit the Popes’ Palace, including the Ceremonial rooms, Chapels, the Cloister and private Papal Apartments that house priceless frescoes.“The Palais des Papes” stands as the powerful symbol of the church’s influence throughout the western Christian world in the XIV Century. Edified in 1335, “The Palais des Papes” was completed in less than twenty years under the leadership of Pope Benedict XII and his successor Clement VI. The monument is the largest Gothic palace in the West and has more than twenty rooms, including the private apartments of the Pope and a theater that hosts public events. The beautiful frescoes were painted by Italian artist Matteo Giovannetti. 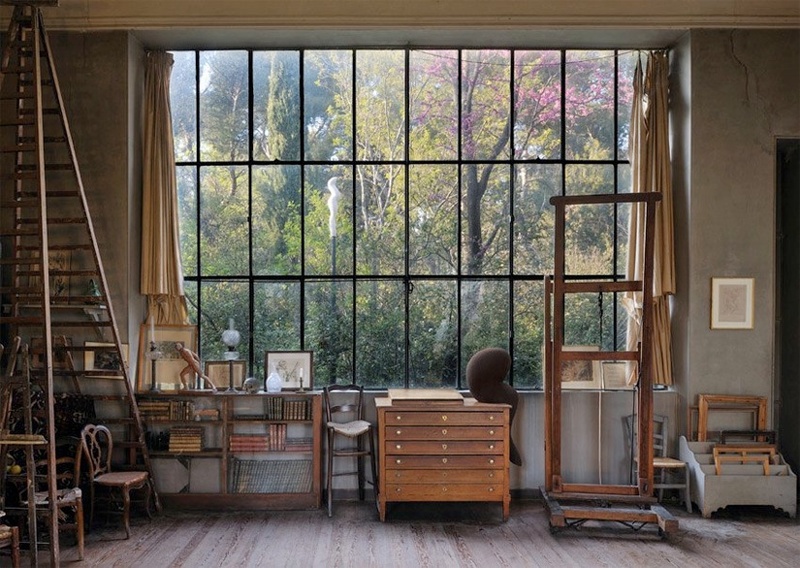 This morning with your guide you will visit Cezanne’s studio where Cézanne spent every day of his last four years. 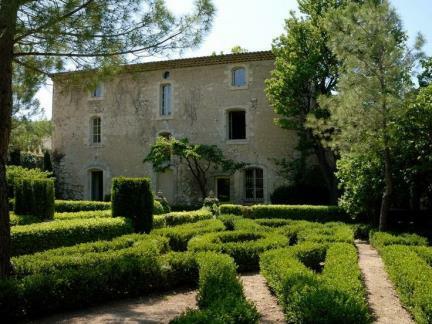 Enjoy a guided visit of a typical “bastide” located in the center of Aix and meet the owner who rarely opens the door of his property to just anyone ! A full day excursion to the nearby Alpilles, visit Saint Rémy and Saint Paul de Mausole, the clinic where Van Gogh lived in 1889. Located in the heart of the Alpilles, Saint Rémy is surrounded by lush green perfumed valleys, its ancient streets are lined with beautifully restored old houses. The beauty of the countryside and the quality of light has inspired many artists, writers and painters. Without a doubt, the most famous was Vincent Van Gogh who produced more than 150 paintings of the countryside surrounding Saint Rémy de Provence. In the afternoon, visit the perched village of Les Baux de Provence, known in the 14th century as a brilliant center of the Courts of Love. The panorama from the Citadel embraces the mountains and plains of Provence. Evening at leisure. Overnight in Aix-en-Provence. After breakfast and checking out, today will be an early morning departure from your hotel. 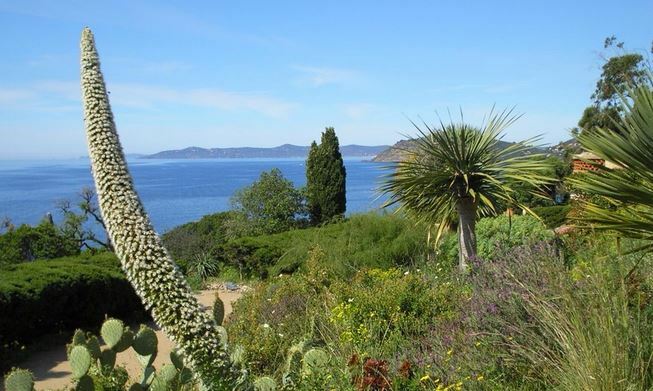 You will first drive towards Saint-Tropez and visit the Domaine du Rayol. 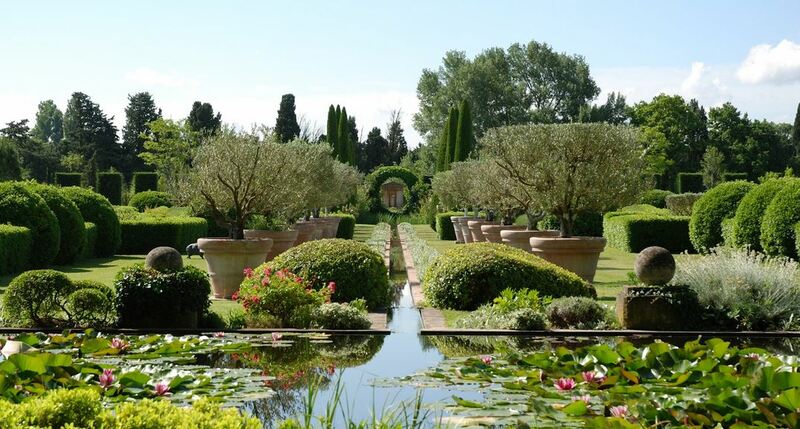 This Mediterranean garden is designed by Gilles Clement. In this garden you will see Meditrranean, arid and subtropical landscapes all in one place. Lunch will be at at the domaine. After lunch you will continue to Nice for a panoramic tour of Nice including the Belle Epoque luxurious residences, the Russian Church, the exotic garden and the hills of Cimiez and its Franciscan monastery. Overnight at 4* hotel in Nice. 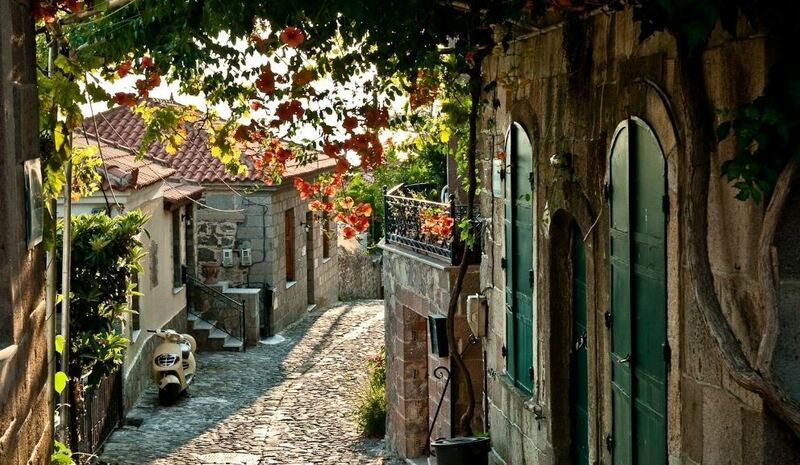 Drive to the lovely seaside resort of Menton, known for its numerous public and private gardens. You will visit La Serre de la Madone. Under the guidance of the head gardener, you will stroll with delight through this lush park with exceptional tropical plants and many patios and courtyards. After lunch with your guide you will visit a second private garden set above Menton to be hosted by the owner. 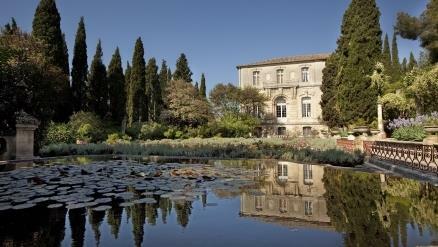 This estate is the last garden of Menton that remains the property of the same family since 1915. The current owner, especially interested in botany, collects tropical species, particularly bulb plants from South Africa. Dinner (included) tonight and will be at a gourmet restaurant in Nice. Overnight in Nice. This morning is at your leisure. 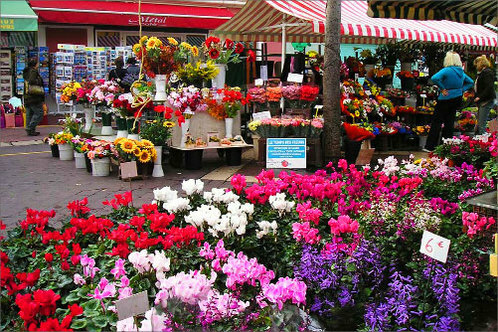 You may wish to visit the daily flower market. 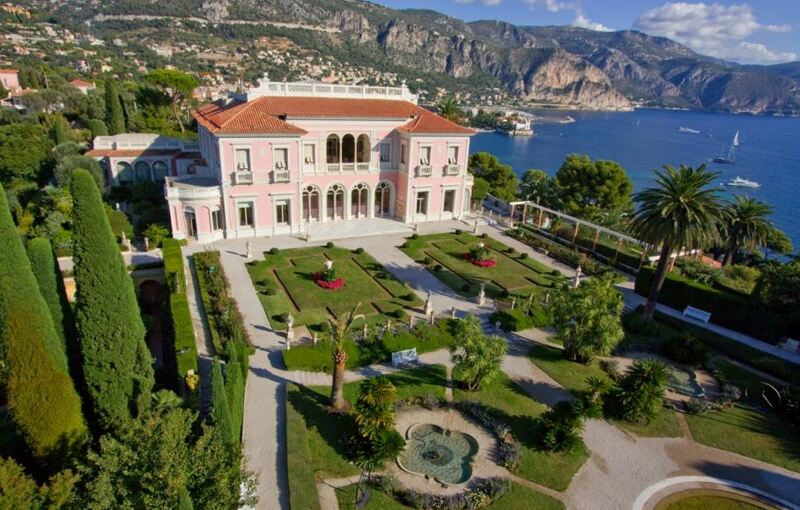 This afternoon you will visit the enchanting Villa Ephrussi de Rothschild with six amazing gardens planned along various themes by Baroness Beatrice Ephrussi of Rothschild at the turn of the century. 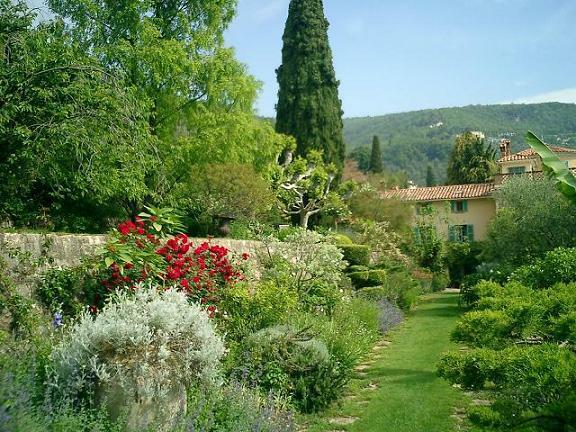 This morning you will drive to Grasse to visit a private garden belonging to a painter. who brings all her artistic sensitivity to the garden by her constant search for harmony in the colors and shapes, and the plants’ integration into their environment. Enjoy lunch at leisure in Grasse before visiting the perfume factory. Tonight enjoy a farewell dinner (included) at a restaurant near your hotel. Overnight in Nice. After breakfast and checking out, you will be transferred to Nice airport.